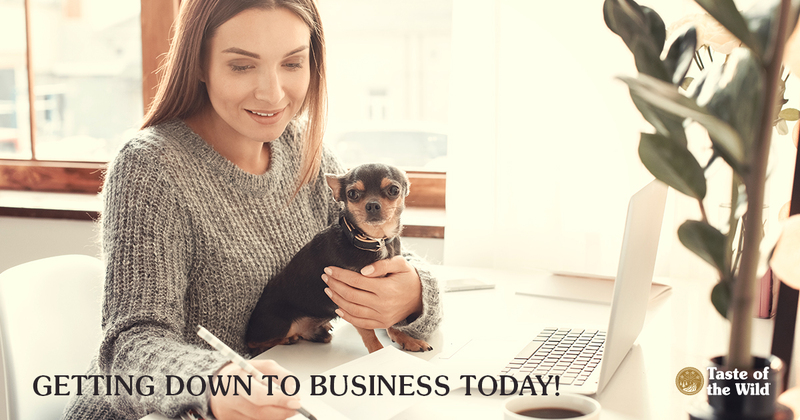 Ensure “Take Your Dog to Work Day” Is a Success With These Tips! Today, 8 percent of respondents say their companies allow pets at work on a regular basis, up from 5 percent in 2013, according to the 2017 Society for Human Resource Management’s Employee Benefits survey. Amazon, Google and Etsy are among the companies to welcome pet dogs at work. As it turns out, there are surprising benefits to four-legged coworkers. Studies show that pets may reduce office stress and create a social connection that enhances cooperation and communication. Pets are a way for employees to express their personalities. Dogs can also boost morale and help restore a work-life balance, reminding workers to periodically take breaks and go for a quick walk. For companies, it’s a no-cost perk that helps recruit millennials who are now the largest pet-owning segment of the population. Some workers may even be willing to work later in the day, since they’re not under a time crunch to get home to let out their dogs. Pet-friendly policies may help with employee retention and actually enhance the company’s image in the eyes of their customers. Of course, not every employee may appreciate the merits of your drooling Saint Bernard. Some people may be allergic to pet dander and others may be afraid of dogs because of previous traumatic experiences. There may also be cultural or religious reasons to eschew pets in the workplace. Pets that aren’t properly socialized or are fearful or aggressive may not enjoy being exposed to unfamiliar people and the hustle-bustle of the office. Barking may be disruptive and there may be fur or “accidents” to clean up. That teething puppy may do some damage to office furniture. Finally, any dog in a stressful situation is capable of biting. And pets don’t belong in every workplace. Loud manufacturing or chemical facilities may not be a comfortable or safe place for your pet. Pets should also be kept away from food service areas and medical centers that may cater to people with compromised immune systems. Make sure your pet is comfortable around new people, new pets and new environments (will riding an elevator be too scary?). Pet-proof your office space to eliminate any electrical cords, sharp items or small objects your pet could accidentally swallow. Check that your pet is healthy and current on vaccines and parasite control to protect the health of your pet as well as that of coworkers and other pets. Groom your pet so the fur is clean and nails are trimmed. Make your feeding preferences clear to help prevent coworkers from indulging your pet with too many goodies. Determine pet-friendly office areas and avoid lunchrooms, conference rooms, restrooms and other pet-free zones. Bring everything your pet needs for the day including water and food bowls, toys, beds and waste bags. Don’t let your pet wander where it might disrupt other workers or mistake the office plants for the great outdoors. Introduce new dogs slowly or in an outdoor, neutral area. Chances are, with your pet by your side, your day will feel less like work and more like play.